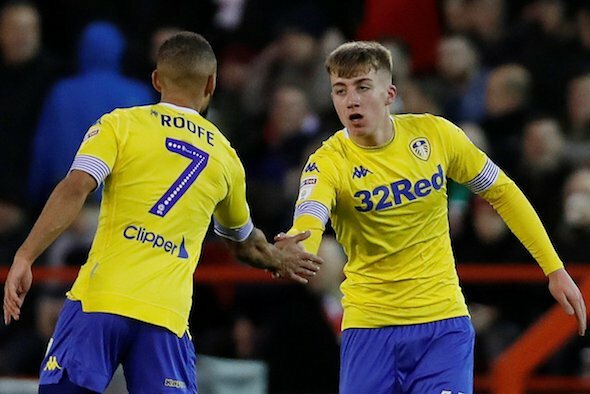 Leeds United attacker Jack Clarke has been ruled out of the club’s midweek clash against Swansea after collapsing on Saturday, it has been confirmed. United managing director Angus Kinnear revealed in an official statement on the club’s website on Sunday night that the 18-year-old will not take part in training this week after being taken ill during the 1-1 draw against Middlesbrough. This is a sensible move from Leeds. They can’t take any chances with the health of Clarke, whose illness during the second half of Saturday’s match was extremely worrying, even though he subsequently got the all-clear and was discharged from hospital. Medics from both Leeds and rivals Middlesbrough acted quickly and decisively to help the 18-year-old, but it is only right that he is taken out of the firing line as the club prepare for Wednesday night’s home clash against Swansea City (a subsequent fixture against Bolton Wanderers at home is 10 days later). Clarke has been a key player for Leeds since being fast-tracked into the team in the autumn and has either started or come on as a second-half substitute in each of the last 13 Championship matches. His pace and vigour will be missed on the flanks in the two home matches, both of which Leeds are expected to win after their impressive display away to Middlesbrough at the weekend.